The answer to this question seems obvious – a subcontractor is a contractor that contracts with the prime contractor to perform a scope of work on a construction project. However, it is not always easy to distinguish a subcontractor from a materials supplier (sometimes referred to as a “materialman”). That distinction is important in the context of claims by lower-tier subcontractors or materials suppliers on payment bonds, such as those provided by prime contractors on federal and state public works projects. That is, a lower-tier subcontractor or materials supplier may not be entitled to recovery from a payment bond if its contract is with a materials supplier instead of a subcontractor. Therefore, identifying the role of the party with whom a contractor is contracting is a key task the prudent contractor will perform at the outset of a project. 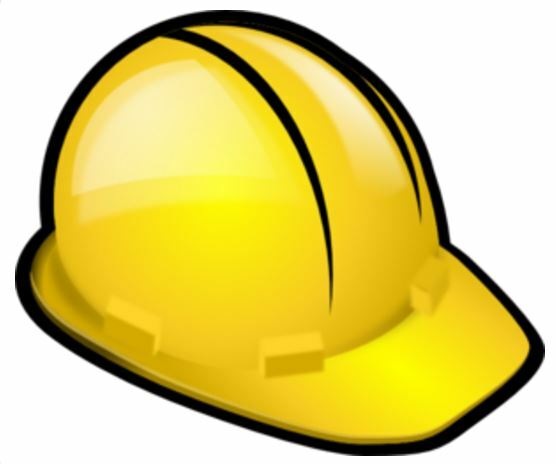 This distinction is most important in the context of federal public works projects. For those projects, the Miller Act restricts claimants on payment bonds to those who had a contract with the prime contractor and those who had a contract with a subcontractor, provided that in the latter case the claimant provides notice to the prime contractor. In other words, if a firm has a contract with a materials supplier, as opposed to a subcontractor, the firm does not have entitlement to payment under the bond. Courts look at the “total relationship” between the parties to determine if the party in question is a subcontractor or materials supplier. Courts have applied a balancing test to make this determination, with some factors weighing in favor of a subcontractor relationship and other factors weighing in favor of a materials supplier relationship. The U.S. Small Business Administration (SBA) this week announced the first fee decrease in Surety Bond Guarantees in 12 years. The fee decrease will be in effect for guaranteed bonds approved during fiscal year 2019, taking effect October 1, 2018 and ending September 30, 2019. SBA’s Surety Bond Guarantee (SBG) program is reducing the surety fee from 26 percent to 20 percent of the bond premium charged to the small businesses and is reducing its contractor fee from $7.29 per thousand dollars of the contract amount to $6.00 per thousand dollars of the contract amount. “Reducing the SBG program fees will not only directly help small businesses, but also will incentivize surety companies and their agents to increase support for small businesses in the marketplace,” said Peter C. Gibbs, Acting Director of SBA’s Office of Surety Guarantees. Under the SBG program, the SBA guarantees bid, payment, and performance bonds for small and emerging contractors who cannot obtain surety bonds through regular commercial channels. SBA guarantees contracts up to $10 million, including the streamlined QuickApp application for those up to $400,000. The SBA’s guarantee gives sureties an incentive to provide bonding for small businesses and, thereby, assists small businesses in obtaining greater access to contracting opportunities. Currently, there are 34 participating sureties and over 350 active agents in the SBG program. On average, completed surety bond applications are reviewed and processed in less than two days. 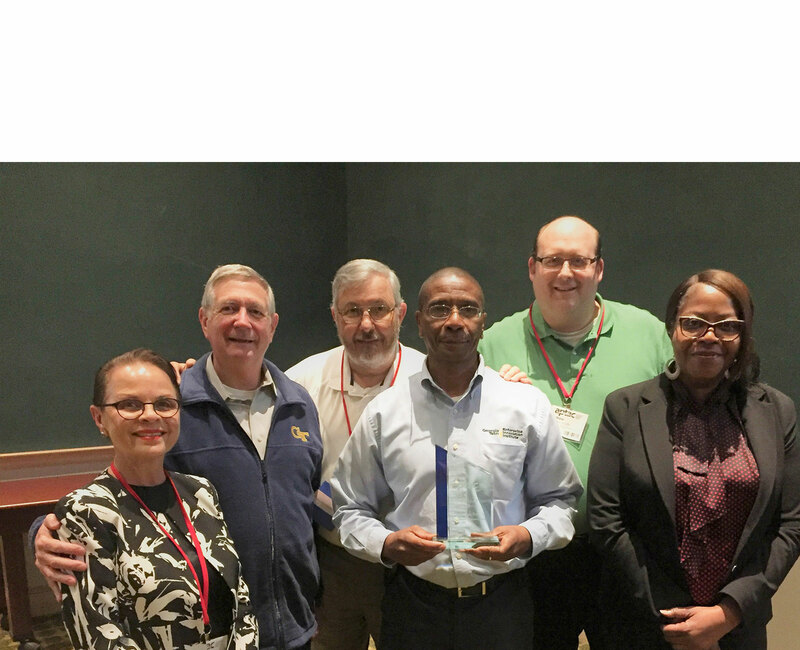 The program is currently outperforming its previous year results yielding 27,000 jobs supported, 3,000 final bonds, and $1.7 billion in final bond contract amounts in fiscal year 2018. For more information about this decrease or to obtain assistance, contact Jermanne Perry, Senior Management Analyst, Office of Surety Guarantees, (202) 401-8275; jermanne.perry@sba.gov, or your local SBA District Office. 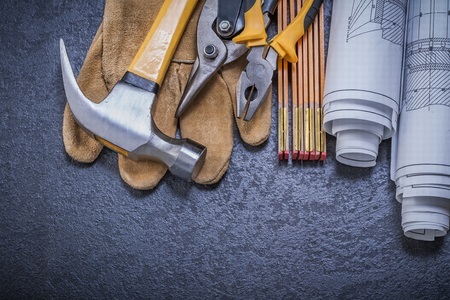 The U.S. Small Business Administration (SBA) has noted two important changes to its Surety Bond Guarantee (SBG) Program that will increase contract opportunities for small contractors, supporting them to grow their business operations. The changes became effective on September 20, 2017. The changes have the effect of increasing the guarantee percentage in the Preferred Surety Bond Program from no more than 70 percent to no more than 90 percent. The SBA’s guarantee is now 90 percent if the original contract amount is $100,000 or less, or if the bond is issued to a small business that is owned and controlled by socially or economically disadvantaged individuals, veterans, service disabled veterans, or certified HUBZone and 8(a) businesses. All other guarantees are 80 percent. In addition, the eligible contract amount for the Quick Bond Application (Quick Bond) increased to $400,000 from $250,000. The Quick Bond is a streamlined application process, with reduced paperwork requirements, that is used in the Prior Approval Program for smaller contract amounts. SBA’s review and approval requires minimal time, allowing small businesses to bid on and compete for contracting opportunities without delay. Through its SBG Program, consisting of the Prior Approval and the Preferred Surety Bond Programs, the SBA guarantees bid, payment and performance bonds for contracts that do not exceed $6.5 million, and up to $10 million with a federal contracting officer’s certification. 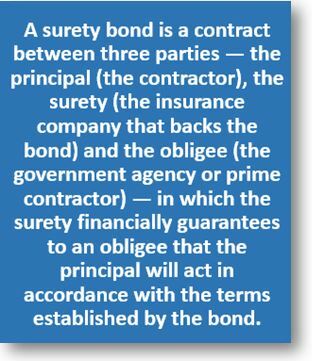 The SBA’s guarantee encourages the surety company to issue a bond that it would not otherwise provide for a small business. 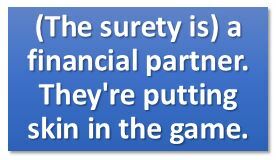 For more information on the SBA’s Surety Bond Guarantee Program, visit www.sba.gov/surety-bonds. On Monday, the U.S. District Court for the District of Columbia ruled that bonding companies can be held liable for treble damages under the False Claims Act for issuing surety bonds to construction companies that falsely claim to be a Service-Disabled Veteran-Owned Small Business (SDVOSB). In a novel reverse False Claims Act case, whistleblower Andrew Scollick alleged that the bonding companies “knew or should have known” the construction companies were shell companies acting as a front for larger non-veteran owned entities violating the government’s contracting requirements. A reverse false claim action can occur when defendants knowingly make a false statement in order to avoid having to pay the government when payment is otherwise due in violation of 31 U.S.C. § 3729(a)(1)(G) (reverse false claims). See United States ex. rel. Scollick v. Narula, Case No: 14-cv-01339-RCL (District Court, District of Columbia. July 31, 2017). Under the Miller Act, government construction contractors must post bid bonds, performance bonds, and payment bonds that guarantee that the contractor will perform the work according to the terms of the contract. In this case, the contract terms required that the construction be performed by a SDVOSB entity. Michael Kohn, of Kohn, Kohn & Colapinto, who represents the whistleblower, argued that given their role in providing a surety bond to the contractor the bonding companies would know whether the invoicing being billed against the contract is being performed by a SDVOSB. The district court agreed and found that a “reverse false claims” violation occurred because the bonding company knew or should have known that the construction organization was not a SDVOSB and the act of issuing surety bonds furthered the fraud. As a result, the bonding companies were held legally obligated to return to the government funds the bonding company knew to be paid to contractor firms fraudulently posing as SDVOSBs. Being held liable under the False Claims Act means that treble damages will be awarded for every dollar up to the amount of the bond that the government paid out under each contract. Because of the substantial dollar amounts involved, it is not all that uncommon for contractors to falsify service-disabled veteran status. Holding bonding companies liable when they have reason to know of the fraud could have an immense impact on stamping out such contract fraud. “Holding bonding companies liable for treble damages in these types of case will have a huge impact on preventing fraud in government contracts and will help ensure these contracts go to disabled veteran-owned companies as intended,” said Kohn. The Scollick case alleges that two of the largest surety bonding companies, Hanover Insurance Company and Hudson Insurance Company, knowingly bonded dozens of Veteran Administration construction contracts totaling more than $12.5 million with the knowledge that the bonded contractors did not qualify as service-disabled, veteran-owned small businesses. Contracts are crucial components of the construction process, but they can be among the most complicated and controversial aspects as well. As the industry shifts to increasingly collaborative project delivery methods and adopts new materials and technologies, construction professionals need to stay up to date on the how the legal landscape is evolving — or not — to ensure their work is verified and protected. In the latest monthly series of articles published by Construction Dive, an in-depth look at the evolving world of construction contracts and project delivery is presented. “Payment and performance bonds required.” Those words can signal a giant dead end for some contractors who would like to bid on public work or large private projects but haven’t yet waded into the bonding world. However, the bonding process doesn’t have to be mysterious or sweat-inducing as long as companies are equipped with the right information. The most common types of construction bonds are performance and payment bonds, which are kinds of surety bonds. A payment bond guarantees the owner that the contractor will pay all the supplier and subcontractor bills associated with the project, and the performance bond is the owner’s assurance the project will be completed in a timely manner and with high quality. Those who have bumped into bonding requirements on past jobs might have seen a “bid bond” requirement. This is a bond that guarantees the owner that the contractor will be able to meet the requirements of the contract for the amount of the submitted bid. But if a company has bonding capability for performance and payment bonds, these aren’t usually a problem to secure.